From the cable car station at La Berneuse, a hike of approx. 40 minutes leads to the foot of the Via Ferrata de la Tour d’Aï. Rated as "D", i.e. a little difficult for children and beginners, the via starts gently, but turns vertical very quickly. A beautiful vent equipped with slightly technical passages is the main difficulty. 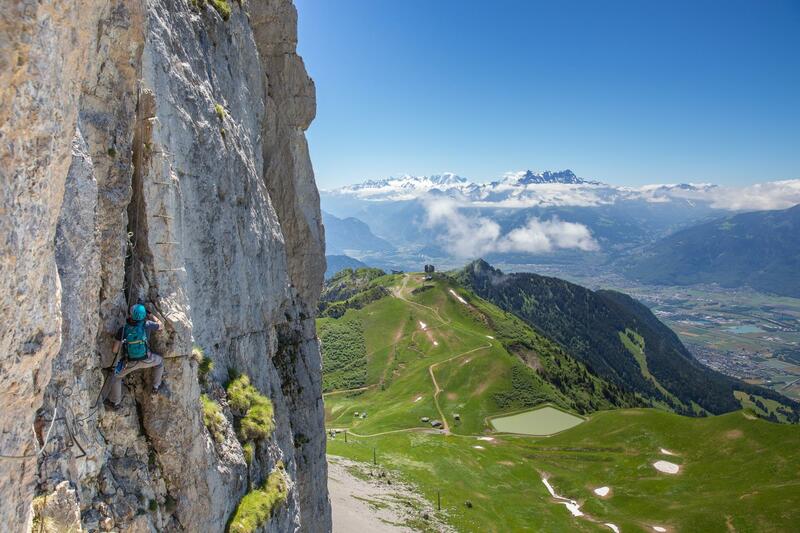 After this obstacle, climbers are rewarded with an astonishing mountain panorama. 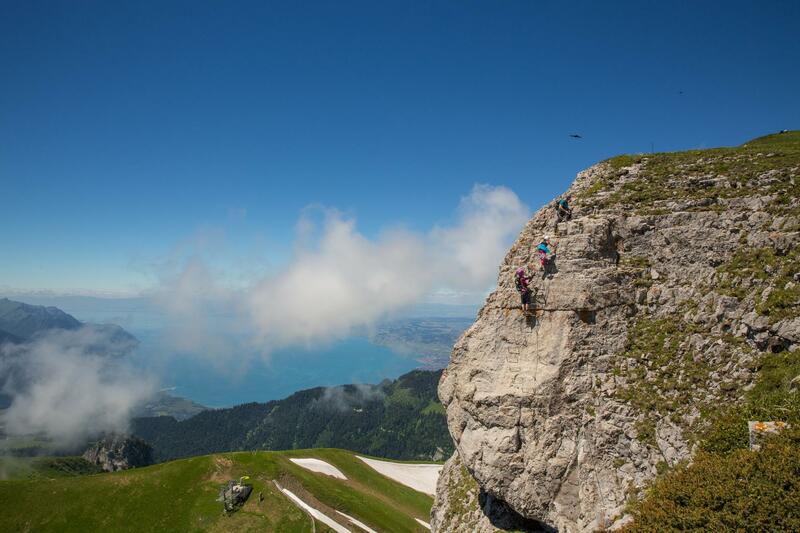 After one to two hours of climbing fun and a return via the Tour d’Aï mountain path, the climbers can choose between catching the cable car going up to La Berneuse or walking down to Leysin from Lake Aï to prolong their outdoor fun. - Accompagned by mountain guides on request.